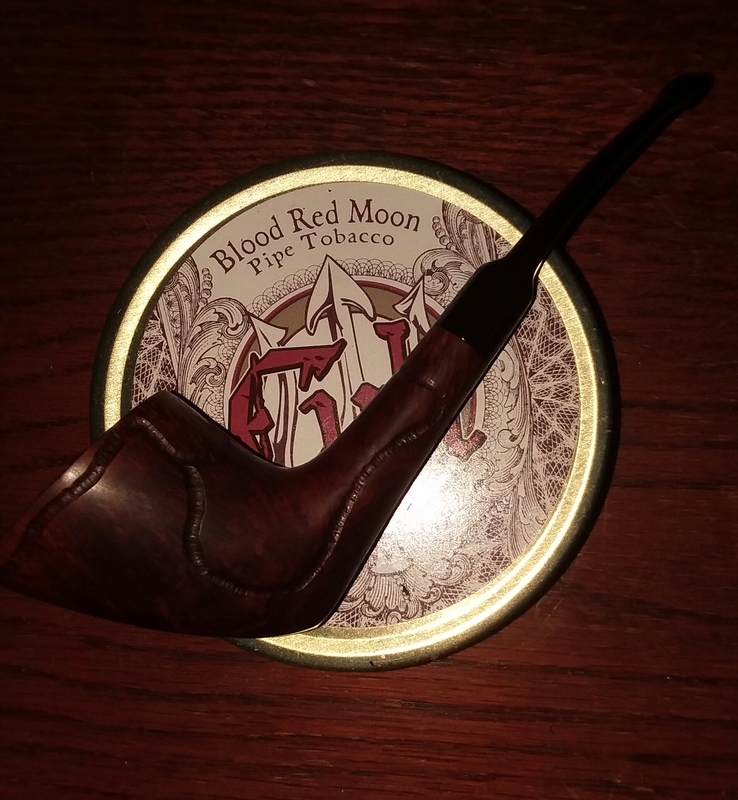 If someone isn't smoking Cult Blood Red Moon they're missing the boat. Dang... Didn’t think about that and I have a tin in the cellar. Maybe next time. Just back in from watching and BRM was what I was smoking. Didn't even make the connection, I just like aros in the cold! Clear & 43F in San Antonio. 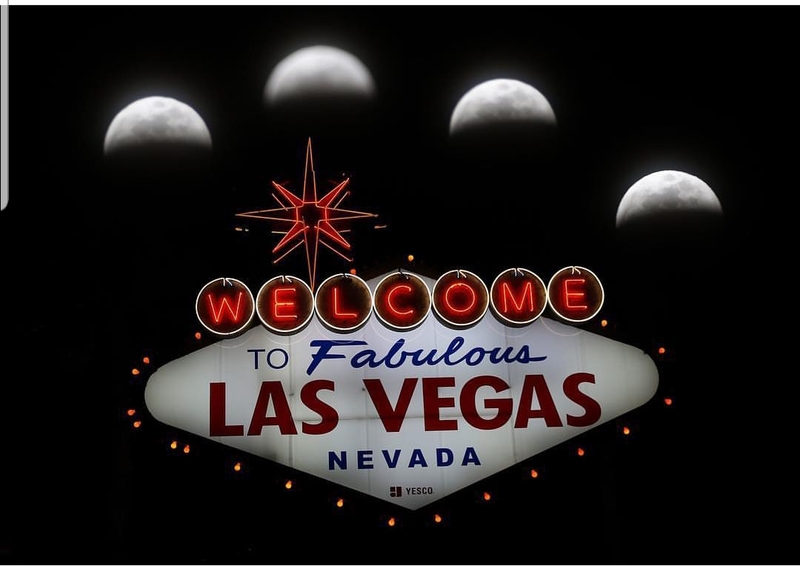 Credit to the Las Vegas Review Journal Instagram Feed -- A time lapse of the Eclipse with the Welcome to Las Vegas Sign shopped in. Just came back in from watching it myself, here in Fort Worth, Texas. Blend for Danny Kaye was in my Savinelli Noce 320. 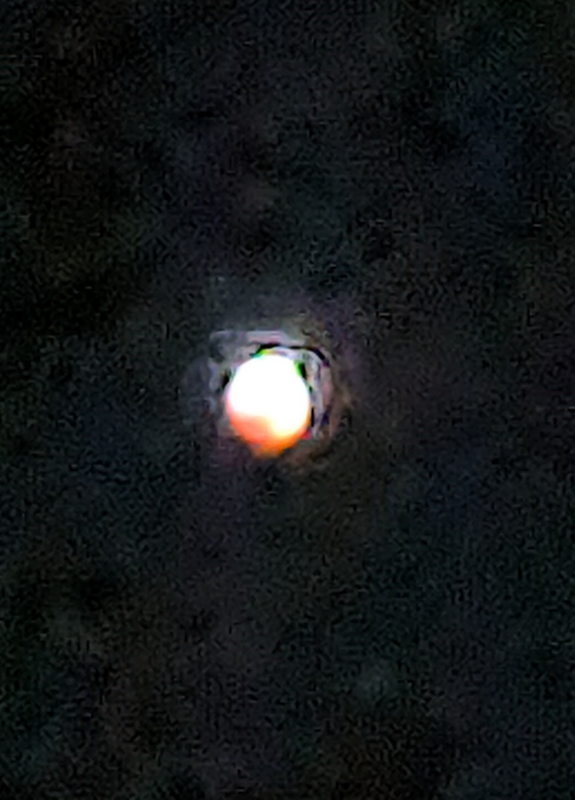 Duane... how did you accidentally smoke Blood Red Moon while watching the blood moon??? I just wish I had thought about that myself. Would have been fitting! Still had a great smoke, though. Duane... how did you accidentally smoke Blood Red Moon while watching the blood moon??? I don't know! I like aros when I'm smoking out in the cold, and just happened to pick that one. Dumb luck has always been my guardian angel. I watched it last night. Had my Grabow filled with a Carter Hall/ Butternut Burley mix. Amazing. All of it. It was nation wide. Got just a nice glimpse before clouds moved in. I watched it last night from South Carolina and this morning my neck is sore. The stars around the moon were so bright and I think I enjoyed that more then the red moon. I tried getting a cool picture of it but this was the best I could do. So many good things about central North Carolina, but given an astronomical event of any kind, we have an 85% chance of cloud cover. Meteor showers, lunar or solar eclipses, comets, you name it, if it involves celestial spheres and unusual events, you can count on a thick, low-lying cloud cover. For replays, we have the planetarium at Chapel Hill. That was just a reference for the start time. Clear skies here for the entire event. Absolutely gorgeous!